July 4, 2012 - FedEx announced that it has completed the acquisition of TATEX, a leading French business to business express transportation company. This transaction represents the latest step in the company’s strategy to sustainably grow in Europe. The addition of the TATEX business to the FedEx network will deliver an excellent extension to the service portfolio of both companies and will provide customers with more comprehensive international and domestic service options. 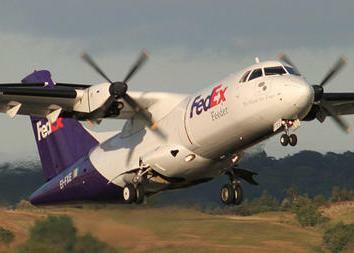 The acquisition will give FedEx access to a nationwide domestic ground network which carries 19 million shipments and produces approximately EUR 150 million in revenues annually. In return, TATEX customers will gain direct access to the global FedEx network. “We are increasing our capabilities in France in a smart and sustainable way by adding new stations, expanding existing facilities, growing our flight network and this strategic acquisition,” said Gerald P. Leary, president, FedEx Express Europe, Middle East, Indian Subcontinent and Africa (EMEA). “During our fiscal year 2012, which ended in May, we opened 19 stations and added four new B757 flights in France alone, creating new jobs in the process. Our overall objective is to provide outstanding services and continuity to our customers to help them remain competitive during challenging economic conditions,” he continued. “This acquisition is an important milestone for TATEX customers as well as for its employees and couriers. TATEX customers will benefit from direct access to the worldwide FedEx network and we are very pleased that the TATEX team members now become part of one of the world’s most admired companies. With this transaction, a new era of the TATEX company history begins,” said Alain Chaillé, vice president, Operations, FedEx Express France and President TATEX. FedEx has been steadily broadening its European network and today’s announcement follows the recent acquisition of Opek, a Polish courier company with 1,200 employees and a network of 44 stations. In fiscal year 2012, FedEx opened 38 new stations across Europe, launched five B757 flights on intra-European routes, and another B777 for long-haul routes—bringing the total number of B777s operating FedEx routes in and out of Europe to four. FedEx entered the French market in 1985. Since then the company has been continuously expanding its range of international shipping services in the market and today employs over 3,000 team members in the country. In 2009, the company expanded its EMEA hub at Paris’ Roissy Charles de Gaulle airport, making it the biggest FedEx Express hub outside the U.S. Founded in 1976, TATEX is a leading B2B express transportation company for heavy shipments in France. With more than 1,000 employees and a nationwide network which includes a central Hub near Paris as well as 35 stations including 6 regional hubs, TATEX covers all of France and carries more than 19 million parcels each year, representing an annual turnover of about 150 million Euros. The company provides a wide range of express and time-definite services for parcels as well as for pallets of up to 800 kg in France and internationally. TATEX is known for providing high-performance services to the high tech, spare parts, automotive and clothing industries.